A natural of Cuba who now resides in Albuquerque New Mexico, began taking music lessons in 2007. 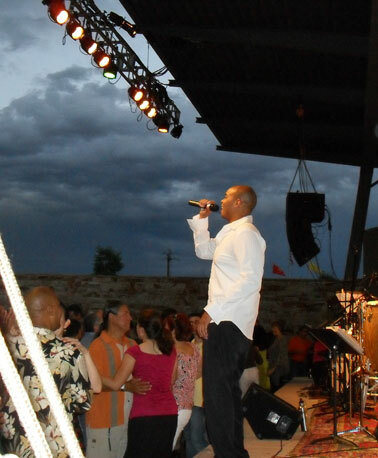 In July of 2008 he was given the opportunity to intern in the band, allowing for a musical debut as a background vocalist and soloist at Albuquerque’s Annual Salsa/Jazz Under The Stars Festival. Subsequent to that performance, Lester continued to appear with the band in the cities of Albuquerque, Santa Fe, and Las Cruces - music venues include charity events, awareness raising benefits, colleges workshop/performances, and festivals. Up to date, he has written and co-written the lyrics for three songs which are currently in the band’s repertoire. In 2013 he provided background vocals in Son Como Son’s recording and release of its third album, Modesto y Original, recording also a duet track co-written with the band's musical director. In the same year he traveled with the band to Telluride, Colorado to perform at the Telluride Jazz Festival and promote their newly released CD.